It's a wonderful day to get start for the day, I would like to introduce you to two types of Shapee products here. Shapee: Belly Wrap Plus and Hip Wrap Plus, both are selling online at www.theshapeecom. The website is user friendly and easy to browse, you can find more than just shape wear. With Internet access today, we can search and shop online from home and office. With many mothers busy working lifestyle, everyone mom wants to have a hour glass figure after having baby. Though I am not having my hour glass figure back yet I am using Shapee Belly Wrap Plus+ for indoors and outdoors. Photos taken by me as I want to show you how it looks like I am wearing them. 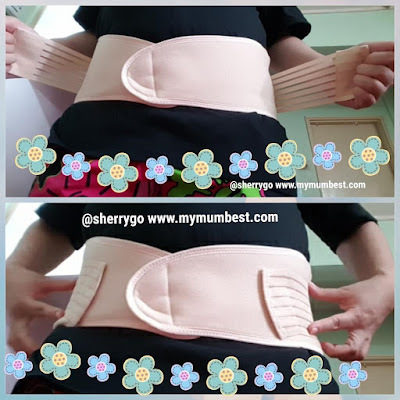 This is specially developed for Postpartum Recovery, this is made of the finest elastic material and breathable fabric which allowing you to move freely. It helps support, enhance and tone after natural birth, c-section, or postpartum abdominal surgeries. 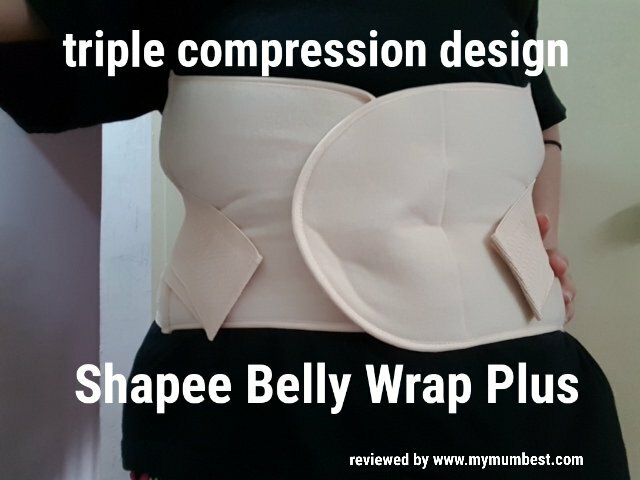 The triple compression designed of Shapee Belly Wrap Plus+ supports care abdominal muscles and helps uterus return to original size sooner. For breastfeeding mom, this Shapee Belly Wrap Plus+ helps improves breastfeeding posture. I can't wait to tell my friend who has born a baby born on December. After having a baby every mom would be worry about if they gonna have wider hips. Shapee Hips Wrap Plus easy to use, it also helps to narrow hips after having baby. The material used are polyester 65% / Elastane 20% / Cotton 20%. The product is made of soft breathable materials and you can wear it inside or outside. It gives comfort to mom, highly adjustable compression and support. This supports all sides of the pelvis, pelvic floor, lower abdomen, hips and lower back. You can see below 1st photo which shown the reinforced belt for stronger support. 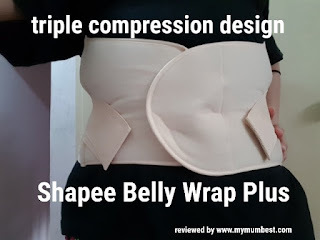 Shapee Hip Wrap Plus+ with triple compression, above is an example on how the reinforced belt helps. Shapee: Belly Wrap Plus+ and Hip Wrap Plus+ , both need to be hand wash, do not use chorine bleach on them. Do not tumble dry, hang dry in shade. You can also iron at low temperature with protective pressing cloth. 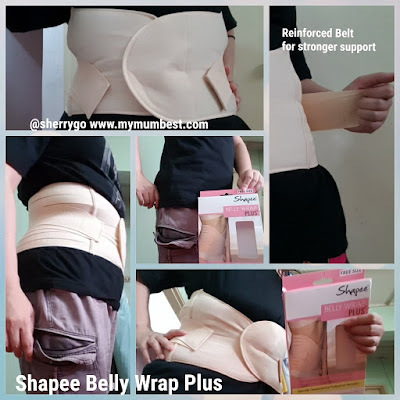 Now you see they are two types of Shapee: Belly Wrap Plus+ and Hip Wrap Plus+, both have their own benefits. *Results depends on individual, not everyone the same. I'm also using a belly wrap but from a different brand and I can't leave the house without it lols.